“This part of the Danube isn't like the rest of Europe,” Attila said, pointing out the window to the river bank slipping by. When most people think of “Europe,” they picture Big Ben and the Eiffel Tower; gondolas in Venice; lavender fields in France or vineyards in the Tuscan hills. They picture fairytale castles and churches with towering spires and narrow roads winding through quaint little villages. But Attila, the hotel manager on the AmaPrima, was right — we were headed into a different part of Europe. I've always been intrigued by Eastern Europe. 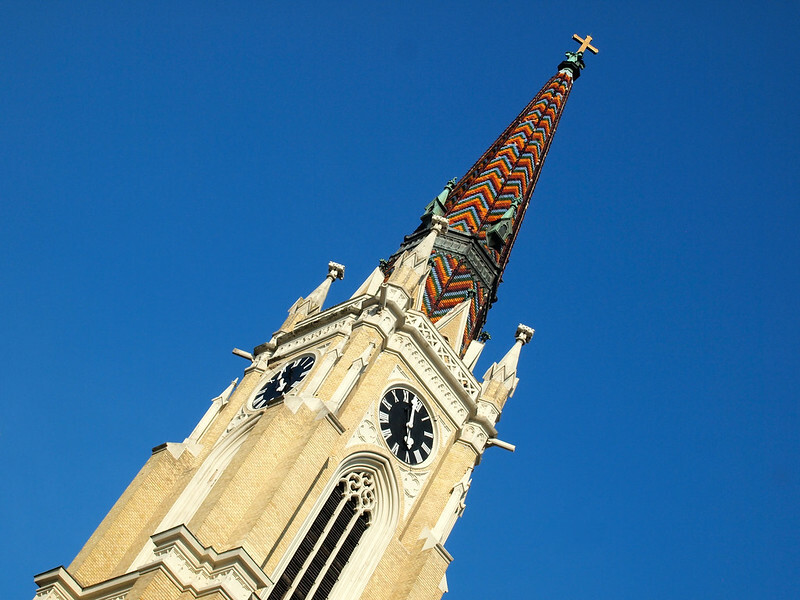 In fact, my very first trip to Europe saw me skipping places like London and Paris and Rome and heading to Budapest and Sofia and Brasov instead. There was something about this part of Europe that appealed to me simply because it wasn't like the typical “Europe” that most people wanted to visit. It was less manicured, yet still beautiful. Less touristy, yet still interesting. But it certainly is a different side of Europe — and parts of it are extremely complex and difficult to describe. To begin to understand this part of Europe, we first have to go back in time. Back to when empires ruled and fought over cities and the assassination of an Austrian heir was the catalyst that launched Europe into World War I. When Archduke Franz Ferdinand of Austria was shot dead in Sarajevo on June 28, 1914, a chain of events was set in motion that would eventually lead to the fall of the Austro-Hungarian empire and the creation of a brand new country. At the end of WWI, the Austro-Hungarian empire was split into Austria and Hungary. The “leftover” surrounding southern Slavic countries (Slovenia, Croatia, Bosnia, Montenegro, and Macedonia) were then melded together with Serbia in the Treaty of Versailles. From 1918-1929, this new nation was known as The Kingdom of Serbs, Croats, and Slovenes. And that's pretty much what it was — a kingdom of completely different nationalities, languages, religions, traditions, etc. In 1929, the country changed its name to Yugoslavia (“Southern Slavs”) to try to lessen the perceived differences. And then along came World War II. From the beginning, the Yugoslav people were not happy about this peace agreement and protested it heavily. So Hitler bombed Belgrade (the then-capital of Yugoslavia) in response. In the next decades, the bombing of Belgrade would become a common occurrence — the city has been bombed at least 5 times in the past 100 years. 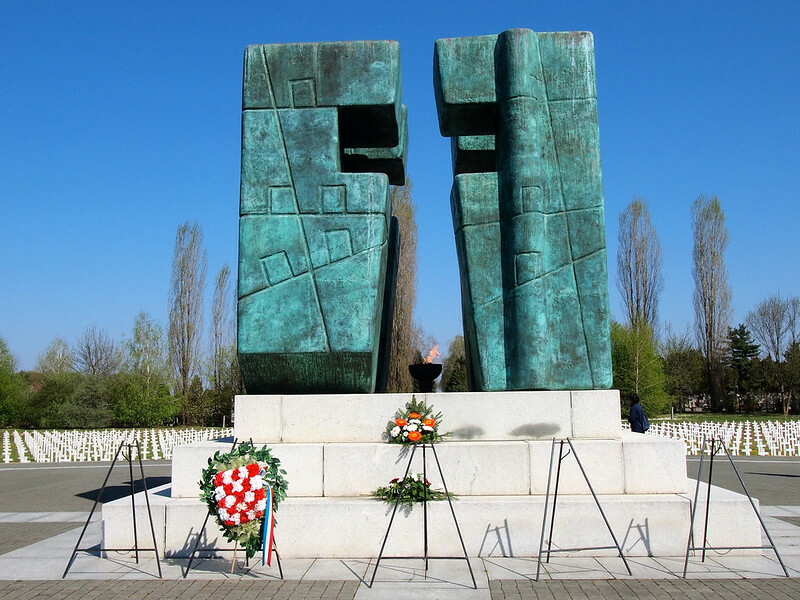 As World War II progressed, Yugoslav resistance groups that had once been fighting the Nazis started fighting against each other instead. There grew a rivalry between the Royalists and the Communists, with the Communists eventually coming out on top at the end of WWII. Their leader was Josip Broz — a man who would soon be known simply as Tito. Tito was an extremely smart dictator. After WWII, he was acutely aware of Yugoslavia's position in a key location — right smack between the West and the Soviets. He played this card well, gaining support (and money) from both the West AND Russia. Even though Tito started out as a rather brutal dictator, by the time he died in 1980 he was viewed as benevolent and was mourned to an incredible extent — his funeral was the third largest EVER after Queen Victoria and Charles de Gaulle. After Tito died, the political system in Yugoslavia quickly devolved. People wanted elections and a move away from communism. But, instead of ONE election to decide the new leader, they decided to have six — one in each of the regions (countries) of Yugoslavia. This ended up being a terrible idea. All the men running for president were low-level politicians (none with Tito's charisma), and five of the six elected were ex-communists. At the same time, the larger political climate in Europe was also changing. The Berlin Wall fell. The Soviet Union disintegrated. And that meant that there was no longer a need for Yugoslavia to act as a buffer between the West and the Soviets — which also meant that no more money was flowing into Yugoslavia. With six different leaders, nationalism across the different regions of Yugoslavia grew. People began remembering just how different they were from their neighbors, and ethnic tensions rose to new heights. In 1991, Slovenia was the first to declare independence from Yugoslavia. No one really had a problem with that (nor did they have a problem when Macedonia declared its independence a few months later). But when Croatia and Bosnia decided THEY wanted to become independent, things got heated (at the time, about 50% of Croatian and Bosnian citizens were actually Serbs). The breakout of the Yugoslav Civil War is still confusing to me. Like many conflicts, there wasn't just ONE catalyst. 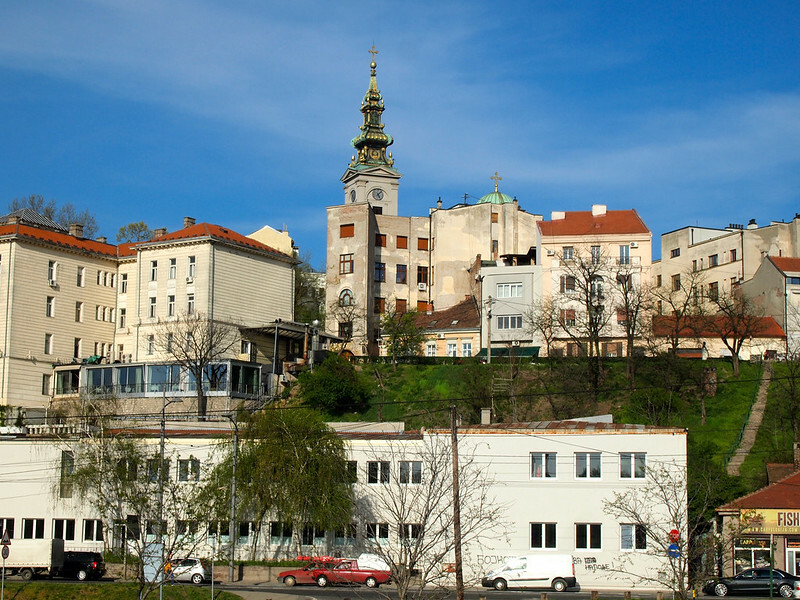 It was a combination of a failing economy, ethnic tensions, territorial disputes, desires for independence, and a strong sense of jingoism for many Yugoslavs who still strongly identified as Croat, Serb, or Bosnian. In 1992, war broke out in Sarajevo, mostly between Croatian, Serbian, and Bosnian forces. The fighting would last until 1996, with all sides committing atrocities against one another. Visiting these places today — places where the effects of war are still present — was unlike visiting anywhere else I've ever been. 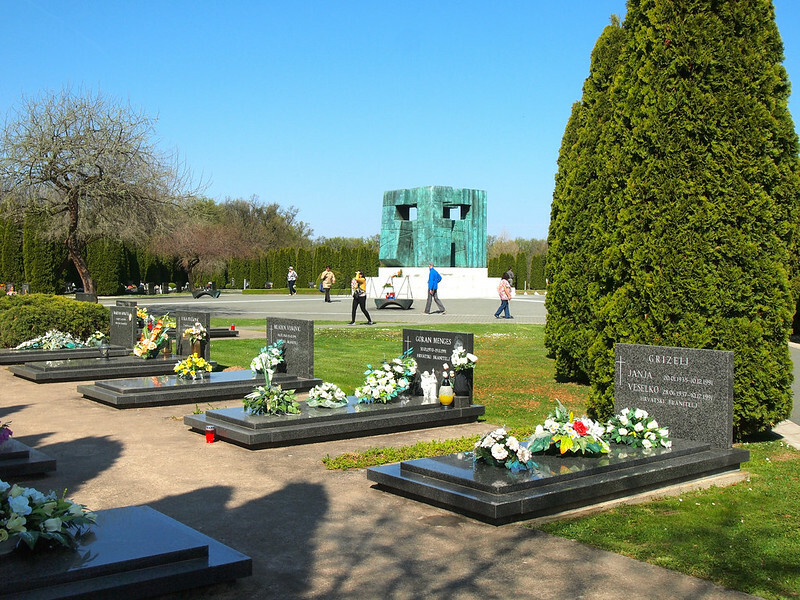 I've been to battlefields and cemeteries. I've been to cities that were completely destroyed during WWII. I've even been to concentration camps. But visiting cities that I remember hearing about on TV as kid… that was strange and different. 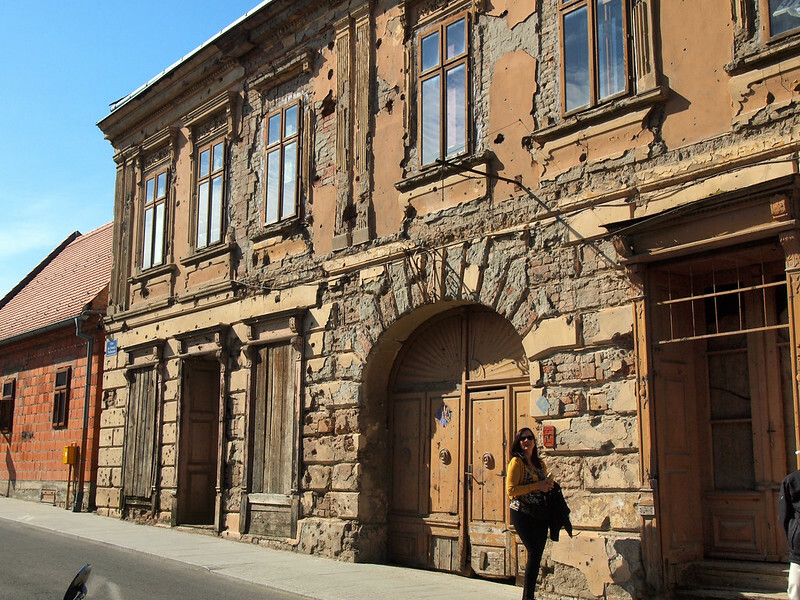 As we walked through the quiet streets of Vukovar, Croatia, a stone's throw across the river from the border with Serbia, our guide told us about the fighting there. 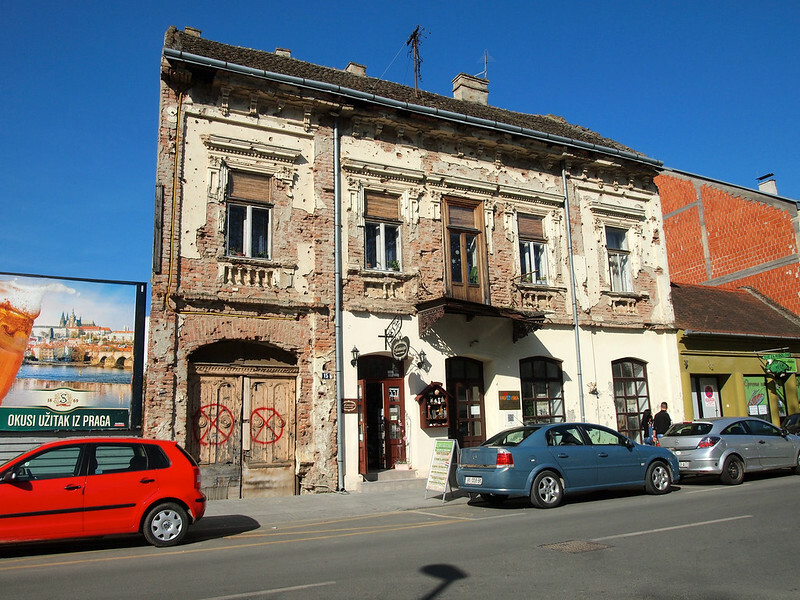 The siege of Vukovar lasted for three months, she said. Nearly every building was damaged or destroyed — and many today remain empty and abandoned (and unemployment is still at a staggering 45%). People fled the area during the war, and many never returned. Some sought refuge in neighboring countries; others never made it out alive. Local prisoners of war were taken to a nearby farm by the truckload to be executed and buried in mass graves. Visiting the Vukovar war memorial as well as one of the execution farms was by no means pleasant — but, as I always preach, it's important to visit places like these. Maybe one day we'll learn from the mistakes of the past. In Belgrade, the scars are different. Here, you're more likely to find a bustling shopping street than a bullet-ridden building. 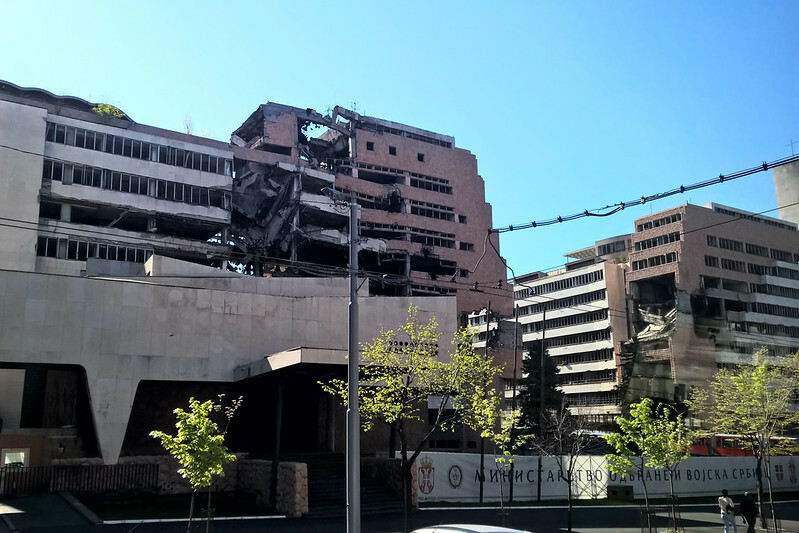 But a few remnants of war remain, like a couple bombed-out government buildings from when NATO bombed the city during the in 1999 (remember what I said about how many times Belgrade has been bombed in recent history?). Our guide told us that the city doesn't have to money to tear the buildings down AND rebuild them, so there they stand like silent sentinels; empty reminders of a history not-so-long-past. And that's what makes this part of Europe so different. The former Yugoslav states are still dealing with the effects of multiple wars. Countries further east (like Romania and Bulgaria) are still dealing with the effects of the fall of communism and the Soviet bloc. The history here is much closer; it's much more recent, and therefore hits you all the harder. I can't pretend to fully understand all the nuances of the last few decades in the Balkans and Eastern Europe. I can just tell you what I saw and regurgitate the facts that I learned while there. A friend of mine, after learning that I'd just been to this part of Europe, asked what the climate is like today. She was curious as to whether any of the tension that was so palpable there 25 years ago can still be felt today. Some former Yugoslav states (like Slovenia, for example) have joined the EU, switched over to the Euro, and show few signs of ever having been united with neighboring countries. In other places, though, you'll still find shadows of the tensions that contributed to conflict in the first place. In some cities, for example, schools are still segregated by ethnicity, which is often tied to religion. A tour guide I met in Belgrade put it best, though: After any sort of conflict or major ideological shift, you're bound to have people who feel like things were better when they were done the “old way.” People still miss Tito. People still severely dislike neighboring ethnicities. “It will probably take a few generations to outgrow those deep, engrained prejudices,” he said. And that makes sense. Think about how many older Brits still hate the Germans, or how many older Americans still harbor sour feelings towards the Japanese. Healing wounds like these will take time. And no doubt there will always be people who miss the old days (I remember hearing the same thing three years ago in Romania — some of the older generation miss the communist times, when everyone was on more equal footing). It will be interesting to see how things progress in this part of Europe in the next 10-20 years. 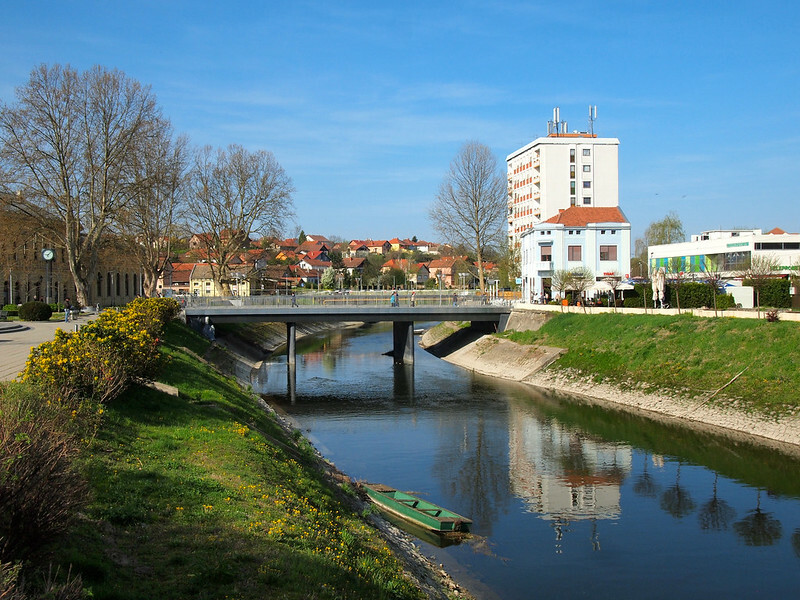 Will Vukovar (and other border towns in Croatia) bounce back? Will building projects in Belgrade ever be finished? Will more of Europe recognize Kosovo as a nation? It's a different part of Europe, for sure — but also an extremely interesting one. Have you ever traveled through this part of Europe? Would you want to? *Note: I visited this part of Europe as a guest of AmaWaterways on one of their Black Sea Voyages down the Danube. Much of the history shared here was learned through a bit of research and a lecture by a university professor that we had onboard the ship. Great read! I’ve been fascinated by the history and culture of the Balkans for a long time, especially because I also remember the war as a kid. There’s something intriguing about visiting countries whose borders were drawn in my lifetime. I agree there is a very complicated history in the Balkans and Eastern Europe that makes this region stand out from the rest of Europe. And considering how much WW2 history is still palpable around Western/Central Europe, I can only imagine what more recent turmoil has made the Balkans like these days. Hopefully I’ll get over there this year to see for myself! “There’s something intriguing about visiting countries whose borders were drawn in my lifetime.” – I love how you put that, and I definitely agree! Hopefully you’ll make it there yourself before long! I think people should not act as they are an authority on history of places they’ve only travelled once/a few times. How can, I quote: ‘people began believing that they really were different (and better) than their neighbors’ be the reason for wanting independence? My goal with this post was to explain the history of the region a little bit without getting too political. I DO state that there wasn’t just ONE reason that the war started. It’s complex – it’s like asking an American why we went to war with Vietnam. There isn’t just ONE answer. I’m sorry if I offended you in some way – it certainly wasn’t my intention. I’m just trying to give a little background on a part of Europe that many people don’t know a lot about. If you have had ‘1000 years of separate history’, if you were ‘your own nation’, why join Kingdom of Serbs and have Serbs change their country’s name in the process? The answer: without joining the Kingdom of Serbs, under false pretenses too, you’d never gain your ‘freedom’. The rest of the country invested mightily in Slovenia, educating people in the process. These poor people, servants and second hand citizens of Austro-Hungarian empire for 1000 years (there’s that different history you’re talking about). Once you benefited yourselves in every possible way from the new country, as soon as the old Germanic masters called, you dropped you allegiance to a nation that saved you and provided everything for you and now you’re ‘free’. You are not independent now, nor will you be any time soon. You’re part of EU and your old masters are in charge. Good luck for the next 1000 years. Don’t come back knocking. Good read. It’s nice to hear about things that aren’t always necessarily pleasant, but an important and interesting side of the history of a country. Thanks for sharing! Yup – most countries have darker parts to their history. We just don’t always hear about them! Thanks for reading. Yes! I visited Bosnia and Herzegovina a few months back. Sarajevo and Mostar were both places I loved and would return to in a heartbeat. Although the scars of the conflict are still evident, the area is a beautiful, cultural gem that every traveler should see! I can’t wait to head back and explore more of the Balkans. I haven’t been to B&H yet, but it’s definitely high on my list. I’d also like to go and spend more time in Serbia after getting taste of it! Thanks, Victoria! Traveling really is the best way to learn about places you know little about. And all I can EVER do is simply share my own personal experience/knowledge on this blog. What you wrote is similar to what our tour leader said during the Balkans trip I took last year. Seeing the war damage, whether in Belgrade, Sarajevo, or Mostar helped me better understand what happened beyond the news coverage. When I first went to Mostar on a day excursion in 2010, our local guide, who had fought in the Bosnian army during the ’90s war, asked rhetorically what was the war about. I’m another who would go back to visit if it was possible! 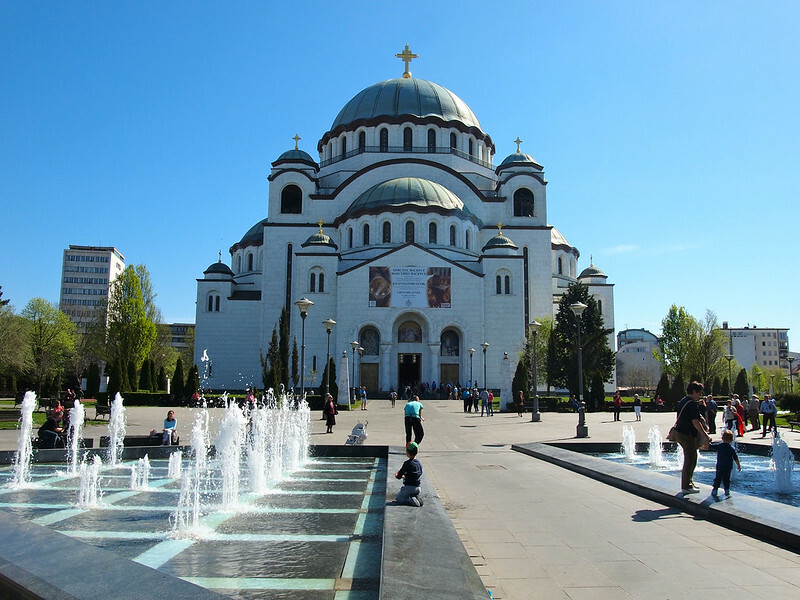 There’s so much to see and experience in the Balkan countries: the fascinating history and culture and awesome cuisine. Definitely a fascinating part of the world – I’m sure this won’t be my last trip there! Fair enough, Kami! Compared to Eastern Europe, the history of Western Europe definitely IS a bit more bland – no major conflicts or anything in the past 50 years or so. But it’s all constantly changing the further east you go! Great introduction to what is, as you’ve pointed out, a history and a culture that can sometimes seem impenetrable to outsiders. I spent a couple of weeks travelling through Macedonia, Albania, Montenegro and Croatia last summer and I found it a fascinating and very friendly part of the world, though I also felt like I barely scratched the surface. And while I came away feeling very optimistic about the future, there are clearly still unresolved issues – you only need to look at what’s been happening in Macedonia in the last month or so to see that the ethnic tensions are still there. Yup, but hopefully those issues eventually resolve themselves! But who knows… there are some tensions that just never seem to go away, no matter how much time passes. I definitely know what you mean about feeling like you’ve barely scratched the surface, though – I feel the same way! Haha, great and accurate introduction! It was the stereotype that I wanned to brake, cause all I ever heard of Europe was those great cities- Paris, London, Barcelona, Copenhagen and a few more. But I’ve heard that the Eastern Europe is someting to see, because of it’s history and mentality of the people and it’s starting to get more western. We decided to go to the heart and the roots of post-soviet culture- Mother Russia. We went trough Travel all Russia agency, so we didn’t get the hastle with the visa’s as most of the Americans face. All I can say that common Russians are great people and getting known to their culture is something worth working on! And if you’d decide to go on a trans-Syberian tour go in January/February the winter weather adds charm to the whole experience! Akatuki knows nothing about the former Yugoslavia. What about the Holocaust by Croatian Nazi Ustashi where over 750,000 Serbs were slaughtered in death camps such as Jasenovac and Stara Gradiska? 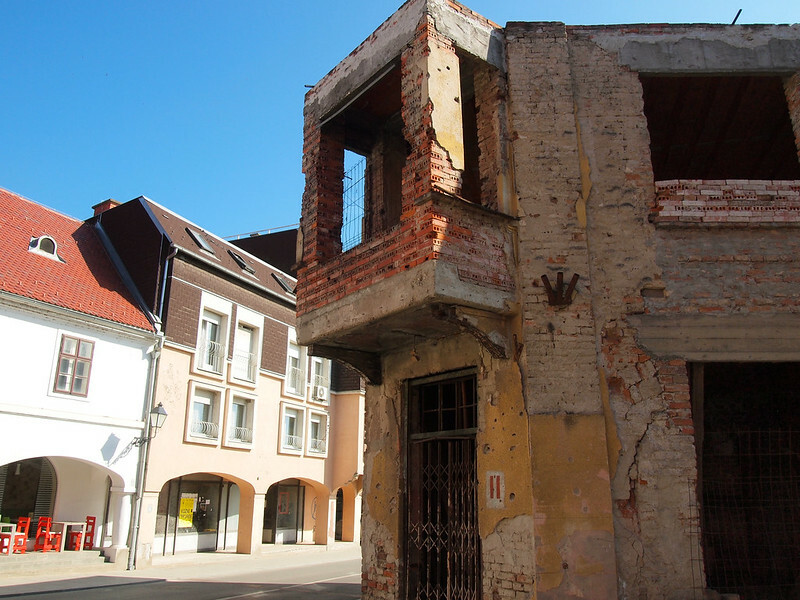 It’s impossible for me to know what it was like to live in this part of the world when war broke out – but I don’t think it’s fair to say I know “nothing.” This post was all about what I learned about the region while traveling there. Did I learn about every single conflict, battle, or massacre? No. That doesn’t mean I don’t care, but this is my perspective and commentary on what I *did* learn and experience there. Western Balkan is best place on earth ! Western media have made a bad picture about this region. have everything,food,water,clean air,sea. Before the war, politicians should have taken over the Scandinavian model of life, there would be no war, and they would progress in all spheres of life. Before the war, politicians should have taken over the Scandinavian model of life, there would be no war, and they would progress in all spheres of life. Visit EX YU….